Budding football stars got the chance to meet some exotic creatures to celebrate a sponsorship which paid for their new tracksuits. 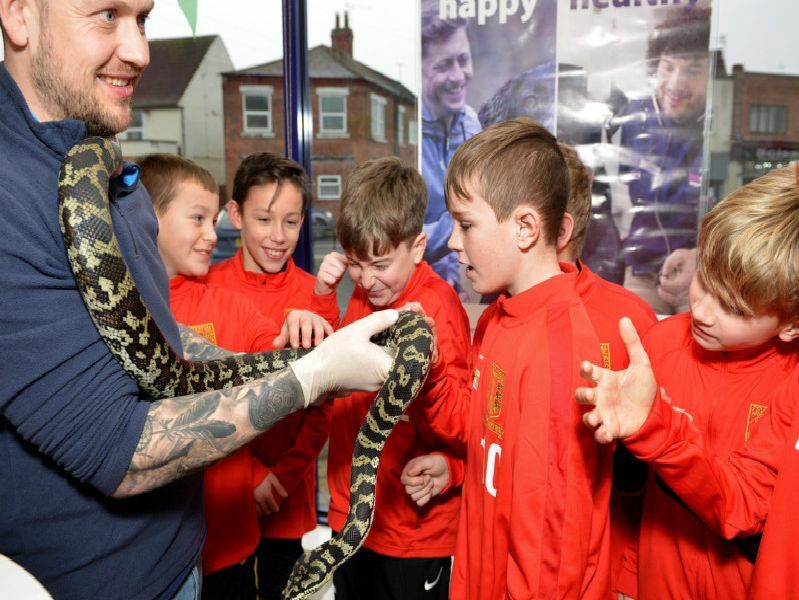 The 13 boys who were from Teversal FC under-12s team visited Vets 4 Pets on Kingsway, in Kirkby, to handle snakes, bearded dragons and frogs. Pictured with the team are chairman Peter Cockerill, 1st team manager Lee Cook, club captain Aaron Pride, Vets4Pets nurse partner, Claire Matan and Vet partner Julie Ling with dogs Indie and Dolcie. They also got to handle a bearded dragon. Members of the team got to touch a frog.